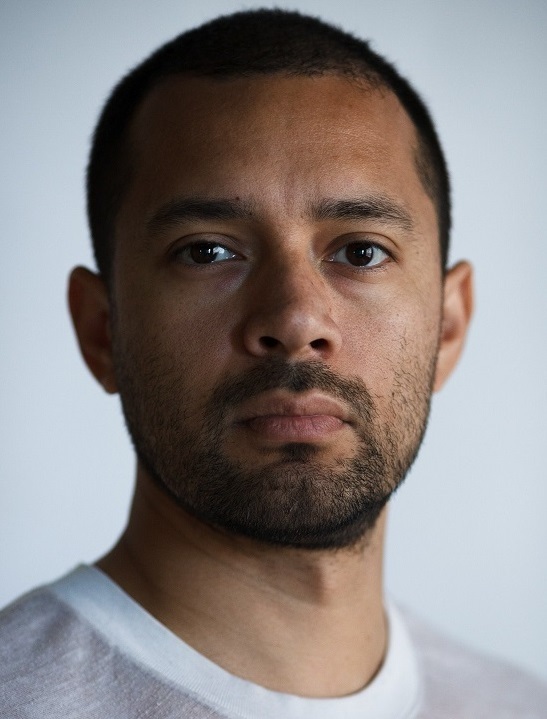 Interview Editor Erin Regan recently had the opportunity to interview Edgar Cardenas, a photographer and Ph.D. candidate in the School of Sustainability at Arizona State University who integrates art and science in his work. His photography, taken from a collection titled “One Hundred Little Dramas,” which explores his own backyard as a natural place, was published in the 12th issue of Superstition Review. Erin Regan: On your website you included a statement about the project that’s peppered with quotes by Aldo Leopold. What has your relationship with Leopold’s work been like? Edgar Cardenas: I grew up close to Madison, Wisconsin but I didn’t know who Leopold was until I started my Ph.D. in Sustainability. I started, like most do, with Sand County Almanac which struck home. I related to his musings of being out in the woods and close to farm life. In Sand County Almanac, Leopold makes clear his intent to integrate aesthetics, ethics, and ecology; I had and continue to have similar sentiments regarding the integration of art and sustainability science. I think he was using the terminology of ecology but his interest was the overall health of the community, which included humans. Many would identify his sentiment with a “strong sustainability,” one focused on ecological integrity that places humans in the system, not above it. This initial introduction to his work led me to read more of his essays and biographies as well. He was a pragmatist, his attempt to unite aesthetics, ethics, and ecology were based on an understanding that holism is the way forward. He pushed against the reductionist methods of understanding the world and realized they were insufficient for understanding, not only the ecological system but our place in that system. He also pushed against preservationist or conservationist ideologies, there was nature to be found just as easily in the city as there was in the wilderness, it was a matter of looking curiously at the world and understanding how things connected to each other. His essays weren’t the impetus for beginning the backyard project but they definitely kept me company as the project unfolded. They became ways of understanding and exploring the backyard. I would, often times, say to myself, “If Leopold was in my backyard what would he say? What questions would he ask? What would excite him? What might confuse him?” Sometimes I would make changes to the backyard or begin to get a little controlling about how I wanted things. Playing out his presence in the space helped reset my intentions and I could go back to openly observing and discovering. This openness to discovery was critical because the backyard is a small space, I worked on it for 3+ years, so you have to find new ways to look at it continuously. Leopold was one of the influences in exploring and eventually framing what the edited work would look like. ER: I love how your work reclaims backyards as wild spaces. Would you describe the process of discovering your own backyard as a wild place? EC: As my artist statement mentions, my backyard was a very undesirable space. Growing up in the midwest and then moving to the northeast, I was unfamiliar with the desert’s ecological pulses. The backyard looked dead when I left for a 10-day project in the Czech Republic. It rained practically the entire time I was away, so I returned to a very different, and green, backyard. The realization that the desert was alive, just waiting for water, started me photographing. I wanted the starting point to also have an ecological connection. I was also grappling with what sustainability meant at the time. We often think about sustainability in a large and abstracted human-environment interaction manner and in a simple, “we should recycle and compost” manner. I was interested in the inbetween space, what “personal sustainability” looked like and what it meant to be engaged in it, not just studying it; the backyard felt like a good start. I was also interested in what someone with very little money could do; most of our current sustainability solutions seem to require significant capital investment. I collected wood that was thrown out to build my planter boxes. I also collected food waste from the School of Sustainability and sustainability students to keep my compost going. Tree services would drop off chipped wood in the frontyard and I would take it to the back one wheelbarrow at a time. I would dig up seedlings in the frontyard and replant them in the back. I collected seeds from several places for planting in the backyard as well. My intention was not to restore the backyard to some previous desert site but be ecologically minded in its design. Humans and animals engineer the environment regularly so I was aware that I wasn’t returning it to a former “wild space.” I was becoming mindful of how I would use the space. That meant compost for nutrient-cycling, planter boxes for food, as well as drought-tolerant trees and plants that provided food, shelter, and a habitat for the small critters that shared the space with us. I wanted to bring the biological diversity up to a maintainable level, which also meant being mindful of the water usage, and nutrients. By the end, I was supplementing the plants exclusively off the compost I was making. That process really got the “discovering” going; I learned a great deal about my relationship to the space as I worked in it and changed it. The process really became a ritual of stepping out into the backyard with the camera and looking, exploring, and engaging. The most important realization, to me, was that personal experience connects you to the land. I was learning to see ecological principles at play, but I was also growing to care about the ecological health of the space, from the compost, to the insects, to the lizards, to the birds; they mattered to me. ER: Animals and insects are very much present but sometimes hidden in your photos, which seems to mirror our relationship with animals. What was it like searching for those creatures in your yard? Did invisible things become visible to you in the process? EC: I think the natural assumption for most people is that not much is going on in the backyard. I was fascinated by the fact that the more time I spent in the space the more I saw; it wasn’t just things, it was processes as well. I knew when the house sparrows were mating and when to be looking out for fallen nestlings; we took several to a bird rescue. I knew where lizards were laying eggs in the yard and would be conscious to stay clear of the space so that I didn’t step on their eggs. My “seeing” developed, I learned what to look for. Often times I was on my hands and knees looking or standing in my plants. I would go out at different times of day, so much happens just before the sun rises, so often times I would be outside waiting in the dark so as not to miss anything. To me the whole thing is resonant in the quote by Proust, “The real voyage of discovery consists not in seeking new landscapes but in having new eyes.” I had to learn to see in new ways. That has transferred to how I see the desert when I go out too. ER: In addition to being a photographer, you are earning your PhD in sustainability. Would you explain how these pursuits intersect in your life and work? EC: I find that the separating of the arts and sciences has done both of them a disservice. They are both fantastic and divergent ways of knowing the world. When I began the program my intention was to find ways to unite the two. I wanted to bridge the knowledge that is acquired in the sciences with the humanistic interrogations the arts bring to the dilemmas sustainability discourse is engaged in. In many ways, I’m picking up Leopold’s challenge to integrate ecology, ethics, and aesthetics for a holism that is necessary in sustainability. That holism needs rigor though. Herbert Simon states, “If we are to learn our social science from novelists, then the novelists have to get it right. The scientific content must be valid.” We are now in a space where, not only does the science need to be valid, the art must be salient as well. I take both endeavours seriously. For me, art and science are a discourse; my scientific learning helps push my art forward, usually by introducing new questions that I have to grapple with. Then I will make art and that process helps me reflect on the scientific questions I’m asking and how I feel about those questions. I can’t see myself doing one without the other; it would stunt my intellectual growth and creativity. ER: Since completing “One Hundred Little Dramas,” what does your personal brand of sustainability look like? EC: It has further grounded me in some of the ideas I had regarding sustainability. I find ecological literacy to be a critical component of understanding how we are in the world. I often felt that I had to somehow prove that art belonged in sustainability discourse. I think I’m beyond having to prove it. Now I am working towards what to interrogate with this way of knowing; it’s so powerful and underutilized right now. One of the big pushes for the project was exploring what an “ethic” looked like. This isn’t about judging people and classifying their actions as sustainable or unsustainable, but of understanding how an ethic develops. Leopold’s work resonates in a significant way for me. Through an ecological and aesthetic development of the backyard project I simultaneously began to understand how and why I cared about a space like the backyard. We go out to the wilderness to see nature and vistas, but the most intimate natural experience I found was the one in my backyard. The most significant change however was understanding the importance of empathy. We speak a lot about human/environment interactions in sustainability but not about human/environment relationships. I think our relationship, how we care about the world is critical. I also feel we shy away from this idea because it sounds so unscientific and subjective; it’s hard to scale up empathy in a systematically controlled fashion. Nonetheless, if we are to be sustainable we actually have to care about a place. We need to have an intimate relationship with that place, get to know it like you would a friend. That means you can visit it regularly, see it change, know its hidden secrets. You can’t do this with vacation places but backyards are wonderful for this; you take care of them and they take care of you. There was a sense of loss when I moved. I think that’s a very powerful motivator for being more sustainable, having an emotional connection to a natural place.